We'll sit down with Young to discuss his new LP, 'Dreamers,' and much more. BackStory Events and Guitar World invite you to join us for the live stream of our exclusive interview with Jesse Colin Young. The interview will take place at 6:00 p.m. EST this Wednesday, February 13, live from The Cutting Room in New York City. Young first made history with the Youngbloods on their classic ‘60s peace anthem “Get Together.” On February 15, he'll release his 19th solo album, Dreamers. We'll sit down with Young to listen to new music, and talk about this new project plus career highlights. The event includes a long-form interview, opportunity for audience Q&A and a short performance. 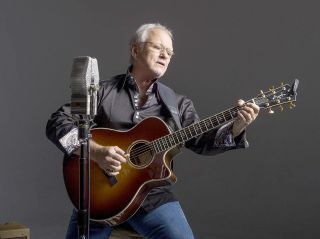 Jesse Colin Young will be interviewed by author and journalist, Brad Tolinski. The event is part of the BackStory Events online series and will be live streamed by Guitar World magazine. To find out more, visit jessecolinyoung.com or backstoryevents.com.